My first folded ornament for 2010! What do you think? I found this charming DIY ornament template by Jun Mitani today. I downloaded it, and made it, and now I think I’ll make a few more! 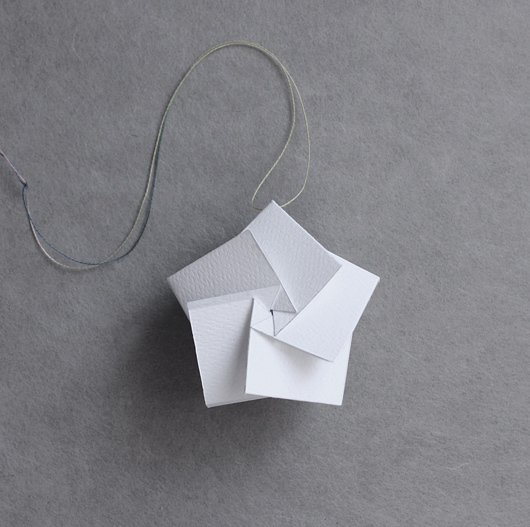 It’s a pretty, paper folded Christmas ornament by one of my favourite paper artists. It makes a great gift tag too – there is even room inside to include a teeny tiny gift. You can download the template here. Beginners beware ;) – this is not an easy star to fold – it’s a bit of a paper puzzle! Hope you have fun solving it! 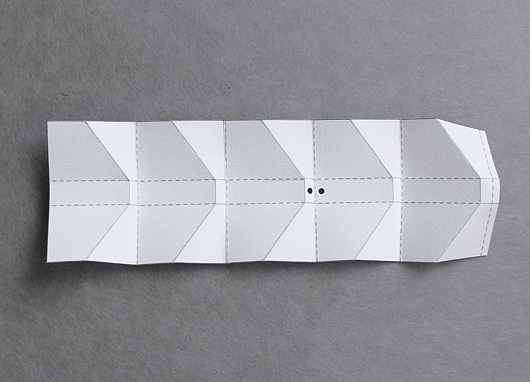 Jun Mitani folds the most amazing things with paper. Tomorrow, I’ll post more of his amazing folds.